STROKE IS THE leading cause of disability in adults, and can affect many parts of the brain, causing multiple deficits including the ones in cognitive, behavioural, visual, speech, sensation, movement, muscle tone and sphincter functions. There are two types of recovery after stroke—spontaneous neurological recovery, which happens in the first three to six months owing to resolution of local injury and can be modified by newer interventions, and functional recovery, for which the time period is unlimited and that involves intensive training that triggers newer electrical circuits in the brain. Similarly, there are two different approaches of neurological rehabilitation—compensation and remediation. In the compensatory approach, for example, if someone has difficulty in walking because of lack of movements in the leg, then we give him a stick to walk. In remediation, on the other hand, we try to minimise the impairment or improve power in the leg muscles and reduce the chances of using a stick. This ability of the brain to restore the function by minimising the impairment depends upon the formation of new or alternative circuits in the brain. This inherent but not widely known ability of the brain to change in response to a triggered stimulus is called neuroplasticity. 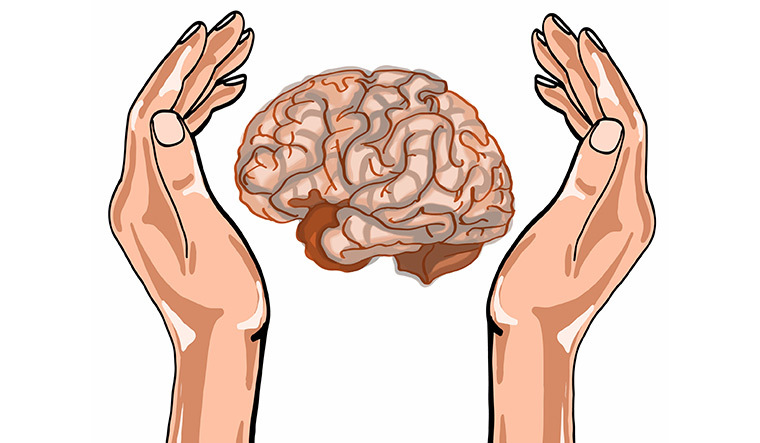 Neuroplasticity is the capacity of neurons and neural networks in the brain to change their connections and behaviour in response to new information, sensory stimulation, development, damage or dysfunction. In fact, for many years, it was believed that certain functions were hard-wired in specific, localised regions of the brain and that any incidents of brain change or recovery were mere exceptions to the rule—'brain cannot change'. However, since the 1970s and 1980s, neuroplasticity has gained wide acceptance in the scientific community as a complex, multifaceted, fundamental property of the brain. Remodelling of neural circuits through plasticity can occur spontaneously or can be triggered by intensive training (experience-dependent plasticity) and biological treatments (pharmacological agents and transcranial magnetic stimulation). There are four different types of neuroplasticity: map expansion, homologous area adaptation, compensatory masquerade and cross-modal reassignment. Map expansion entails flexibility of local brain regions that are dedicated to performing one type of function or storing a particular form of information. The arrangement of these local regions in the cerebral cortex is referred to as a 'map'. When one function is carried out frequently enough through repeated behaviour or stimulus, the region of the cortical map dedicated to this function grows and shrinks as an individual exercises this function. This phenomenon usually takes place during the learning and practising of a skill such as playing a musical instrument or in task-specific trainings in stroke patients to improve specific functions like arm or leg movements, speech, language, cognitive or swallow function. This is the most commonly used approach in neurorehab. Homologous area adaptation occurs during the early critical period of development. If a particular brain module becomes damaged in early life, its normal operations have the ability to shift to brain areas that do not include the affected module. The function is often shifted to a module in the matching or homologous area of the opposite brain hemisphere. This concept can help improve speech and language function after stroke with involvement of the dominant lobe. Compensatory masquerade can simply be described as the brain figuring out an alternative strategy for carrying out a task when the initial strategy cannot be followed due to impairment. One example is when a person attempts to navigate from one location to another. Most people have an intuitive sense of direction and distance that they employ for navigation. However, a person who suffers some form of brain injury or stroke and impaired spatial sense will resort to another strategy for spatial navigation, such as memorising landmarks. The only change that occurs in the brain is a reorganisation of preexisting neuronal networks. This is a simple and novel way by which stroke survivors who were not able to do a complex everyday task can be trained to do it themselves. Cross-modal reassignment entails the introduction of new inputs into a brain area deprived of its main inputs. A classic example of this is the ability of an adult who has been blind since birth to have touch or somatosensory input redirected to the visual cortex in the occipital lobe of the brain—specifically, in an area known as V1. Sighted people, however, do not display any V1 activity when presented with similar touch-oriented experiments. This occurs because neurons communicate with one another in the same abstract language of electrochemical impulses regardless of sensory modality. This strategy is useful to improve visual or auditory functions after stroke. Most of the recent rehabilitation approaches to improve sensory-motor recovery, including rehab robotics, virtual reality, mirror training, constraint induced therapy, task-specific training and intensive locomotor training, work on the principles of neuroplasticity. These help in improving most of the functions after stroke including cognitive, visual, behavioural, speech, language, swallow, movements, tone or sphincter functions. I have seen many stroke patients, thought to be in a vegetative state for life, now living independently, thanks to neurological rehabilitation. 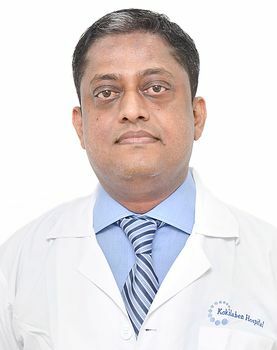 Srivastava is a neurorehab specialist and director, centre for rehabilitation, Kokilaben Dhirubhai Ambani Hospital, Mumbai.